The Gold Coast has a whole lot more to offer than it’s glitz and glam. There’s quite a few places to be discovered just a short drive away. 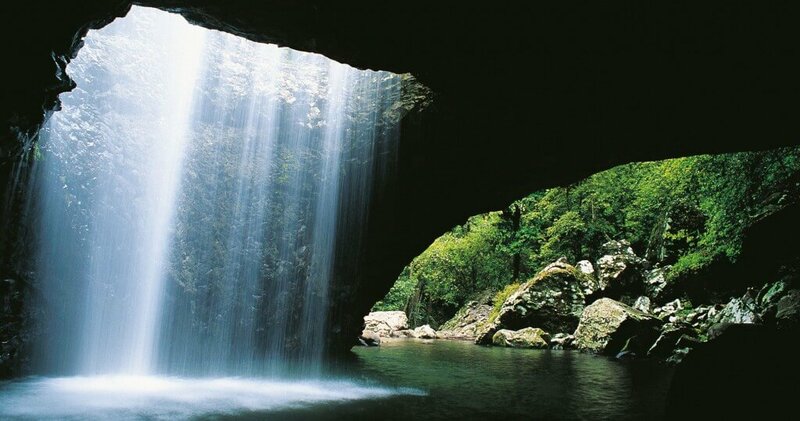 A whole day can be easily spent exploring the beautiful Mount Tamborine. There’s rain forest walks, wineries, look outs, art galleries, the Gallery Walk shopping precinct and restaurants. Only about a 45 minute drive from Broadbeach Waters. This drive is a must do for nature lovers, pictures above. Set in the National Park Springbrook and a short pleasant walk from the parking area. You can make this a day outing and have a picnic lunch. About a 30 minute drive from Broadbeach Waters. Byron Bay is a wonderful coastal town down South that has heaps of stylish shops, beautiful beaches, a Light House and lots more to see. Well worth the hour and 15 minute drive down. Not too far from Broadbeach, about a 20 minutes drive down the Gold Coast Highway will take you to Tallebudgera. You can kayak, stand up paddle board and swim in the pristine flat waters. Enjoy the scenic drive through the country side then Climb Mount Warning or just enjoy the cafes, antique shops, Art Deco architecture and the museum. About 50 minutes drive from Broadbeach Waters. See other things to do on your Gold Coast holiday.